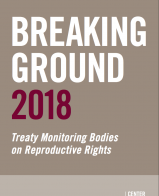 Breaking Ground 2018: Treaty Monitoring Bodies on Reproductive Rights summarizes the jurisprudence from United Nations treaty monitoring bodies (TMBs) on reproductive rights. It is intended to provide treaty body experts and human rights advocates with succinct and accessible information on the standards being adopted across treaty monitoring bodies surrounding these important rights. This booklet is the third edition of this publication. It includes new standards issued by TMBs on reproductive rights over the past couple of years. 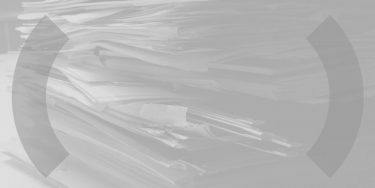 Additions to the 2018 version include the ESCR Committee’s General Comment No. 22 on the right to sexual and reproductive health, the CRC Committee’s General Comment No. 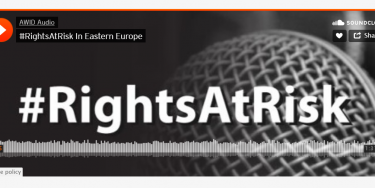 20 on the rights of the child during adolescence, as well as the cases of Mellet v. Ireland and Whelan v. Ireland, which were recently decided by the Human Rights Committee.